Is your eNewsletter in desperate need of a face lift? Are your open and click through rates plummeting? Don’t worry, you’re not alone. While email newsletters are considered one of the most popular marketing tactics, they are often the hardest to get right. Below is a quick five-step guide to creating a killer eNewsletter that engages, nurtures, and converts—as well as some tips that we at Content Boost use when crafting our very own. 1. Keep it focused: Does your eNewsletter resemble a bad outfit from the 80’s? In other words, is it one big hot mess? One of the most common problems with newsletters is that they’re unfocused and irrelevant. When crafting your email, it’s important to focus on one or two very specific topics for which your target audience cares most. According to data aggregated by HubSpot, relevant emails drive 18 times more revenue than broadcast emails. 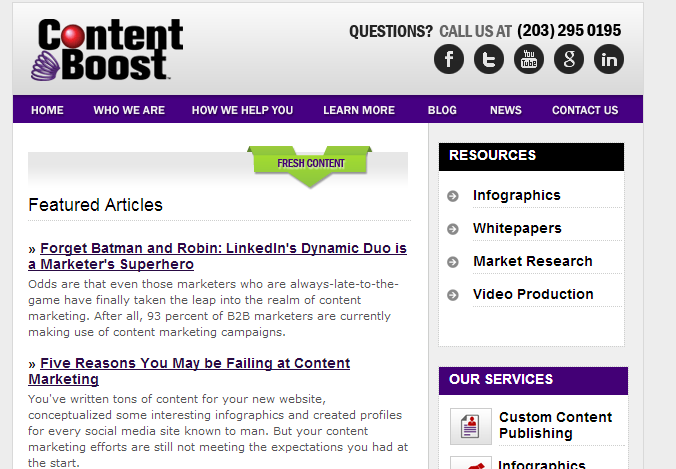 At Content Boost, we focus on everything content marketing including breaking industry news, helpful tips and tricks, and more. 2. Balance content: Your subscriber base has enough sales promotions in their inbox; they don’t need any more. Remember: an email newsletter is not a sales pitch. Therefore, focus on providing your readers with copy that’s educational, timely and engaging. It’s all about striking a healthy balance of educational and promotional content. For example, we recently gave our readers a full rundown of LinkedIn’s Dynamic Duo, a new release that’s sure to shakeup the content marketing industry. 4. Keep it easy on the eyes: Just like that horrible outfit from the 80’s, is your email newsletter design outdated and just plain ugly? 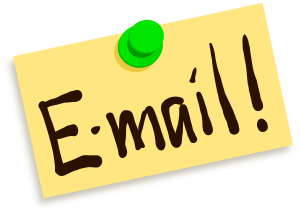 To make your email easy on the eyes, keep copy concise. Give your subscribers a small taste of your content, not the whole thing. This way, they are tempted to click and learn more. Take a look at our design for some inspiration. 5. Test, test, test: Sure, I just gave you a list of steps to ensure email marketing success, but no two companies are the same. 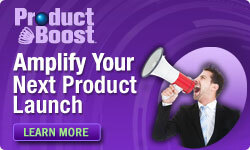 Find out what works for your company and subscribers. Whether it’s A/B testing on subject lines or changing up your CTA copy, it’s all about trial and error. Need more eNewsletter inspiration? Then sign up for the Content Boost eNewsletter here or let us help you boost your email marketing efforts with custom content.